Blood donors keep our community alive and well. From babies born prematurely to traumatic injuries and cancer patients, the need for blood is constant. Hundreds of donors step up each week to fill the critical gap. 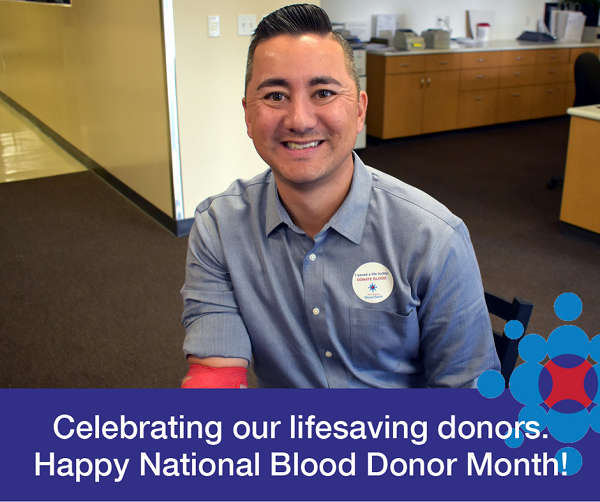 Blood donors are heroes for patients and their families. 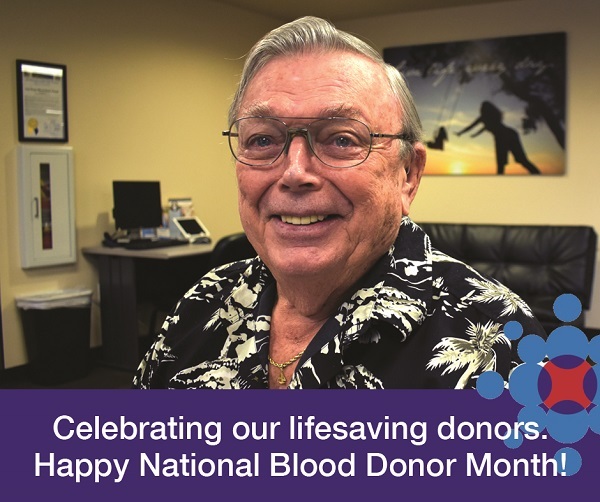 In honor of National Blood Donor Month, we are celebrating donors’ lifesaving gifts by sharing their stories on social media and here on the San Diego Blood Bank blog throughout January. 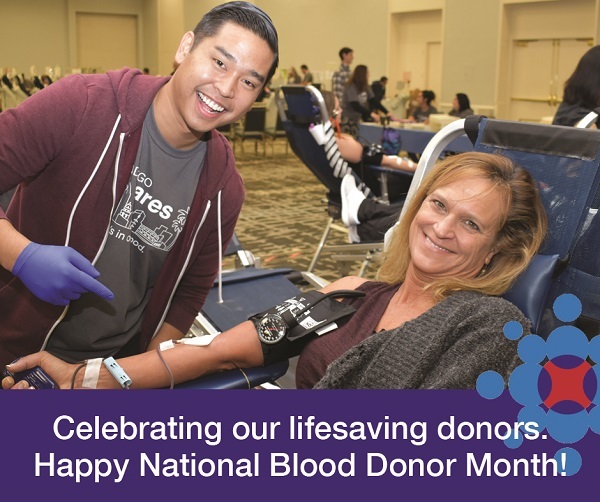 Jenn started her time as a blood donor at Point Loma High School, where she was the Commissioner of Student Philanthropy, as part of the Associated Student Body. As a student leader involved with the San Diego Blood Bank, she coordinated six blood drives. 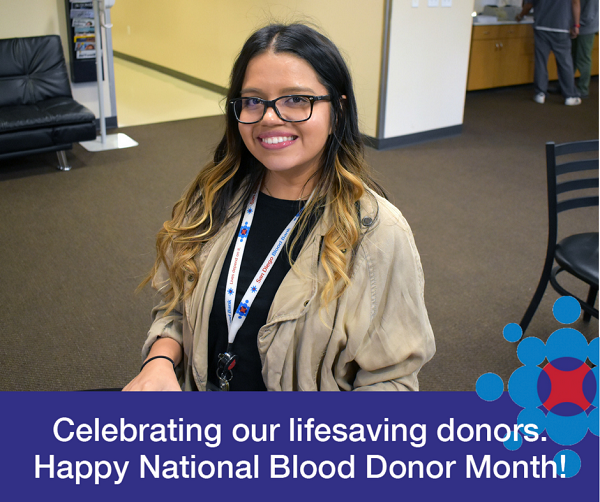 In fact, in her senior year of high school, we awarded Point Loma High School the high school with the most blood donations! As soon as Jenn turned seventeen, she started donating blood. However, it took her some time to donate again. Now that she is on staff at the San Diego Blood Bank, she encounters donors giving a helping arm to donate all the time throughout the work week. She knew she had to give once more. Just recently, she donated for the first time in ten years! With the critical need for blood during the cold and flu season right now and Father Joe urging everyone to give because he is anticipating surgery soon, Jenn gave. Jenn currently works as Administrative Assistant in our Cell Therapy and Laboratories division, where she provides administrative support. Jenn graduated from the University of California Santa Barbara, where she majored in psychology. 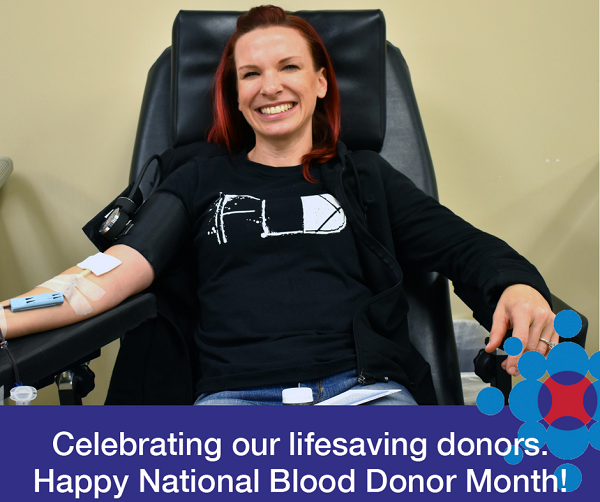 From leading high school blood drives to now working at the San Diego Blood Bank and being a blood donor, Jenn has a long history of saving lives and a bright lifesaving future ahead. Awesome job Jenn! It was what happened in Orlando, Florida that got Jaylin to come in and donate blood. She had learned about the San Diego Blood Bank's work in the community during her involvement with Live Well San Diego 5K, where she led warm-up exercises a few years ago. When tragedy in Orlando took place not too long ago, Jaylin knew she could make a difference at home. She soon became a regular donor and recently became a gallon donor! Being able to assist local patients feels fulfilling each time. She coordinates "Bootique parties" so friends and community can donate along with her. "There's just something rewarding about [donating blood]," and that is why Jaylin gives with an open heart and helping arm. Jaylin is owner of Bootique Fitness, where she trains and inspires anyone interested in health and fitness to be the best that they can be. Thanks for being a blood donor Jaylin! Councilmember Chris Cate donates because it is important for our community to come together in support of local patients that depend on blood donations. When we reached out to local politicians asking for their support during a critical need for blood because of the flu and cold season, Councilmember Cate wanted to do more than post something on social media about donating blood, he wanted to donate himself. Thank you for visiting us and giving a helping arm, Councilmember! Your support is much appreciated. Today was Mary’s first successful blood donation. Her son, Mikey, drew her (he’s a Phlebotomist at the San Diego Blood Bank). Mary’s daughter also works as a Phlebotomist, and she’s proud of her children for their lifesaving work in the medical system. 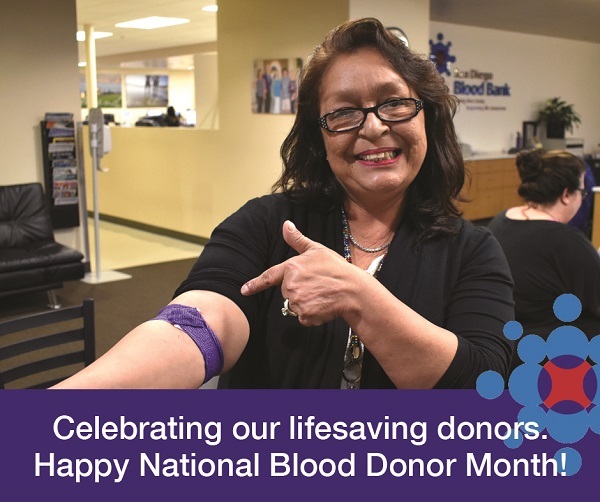 In addition to donating blood, Mary helps save lives every day by calling people from the San Diego Blood Bank’s call center. She started in this field after her mother was in the hospital and needed blood. Outside of work, Mary loves spending time with her five month old kitten, her “Little Changuito,” meaning little monkey. It’s a good thing to do. His body keeps making more blood for him to donate. Having spent the first part of his career in the aerospace industry, he moved to Florida from Pasadena and learned to sail. Falling in love with life on the sea, he spent 25 years in the Caribbean, sailing boats down to the Virgin Islands and back again. He is now retired and lives here in San Diego with his wife. Originally from New York, he says he’s always been an “island boy” at heart. He is looking sharp in his sailboat necklace and Hawaiian shirt after all! “I looked at the wall in the donor center here and saw 150 gallon donors. I don’t think I’ll make it there in my lifetime, but I think 10 gallons is possible,” said Steve. We are glad to have him here saving lives in the San Diego community. Thank you, Steve! Gary donated blood for the first time many years ago with his dad. He’s donated more than 5 gallons of blood in his lifetime. He donates as often as he can, so long as he doesn’t have a half marathon coming up. He loves to run, and he likes racing because it keeps him focused on a goal. Gary’s favorite thing about living in San Diego (besides the warm weather – he grew up in Michigan!) is taking photos on the beach at dusk. Thanks to Gary, many patients in San Diego get to share in life’s beauty with their loved ones, too. Cindy is a longtime blood donor. One of her close friends was in an accident and needed a lot of blood. She thinks about her friend every time she donates. When Cindy’s not saving lives, she enjoys spending time with her children, her two cats, and watching LA Chargers games with her husband. 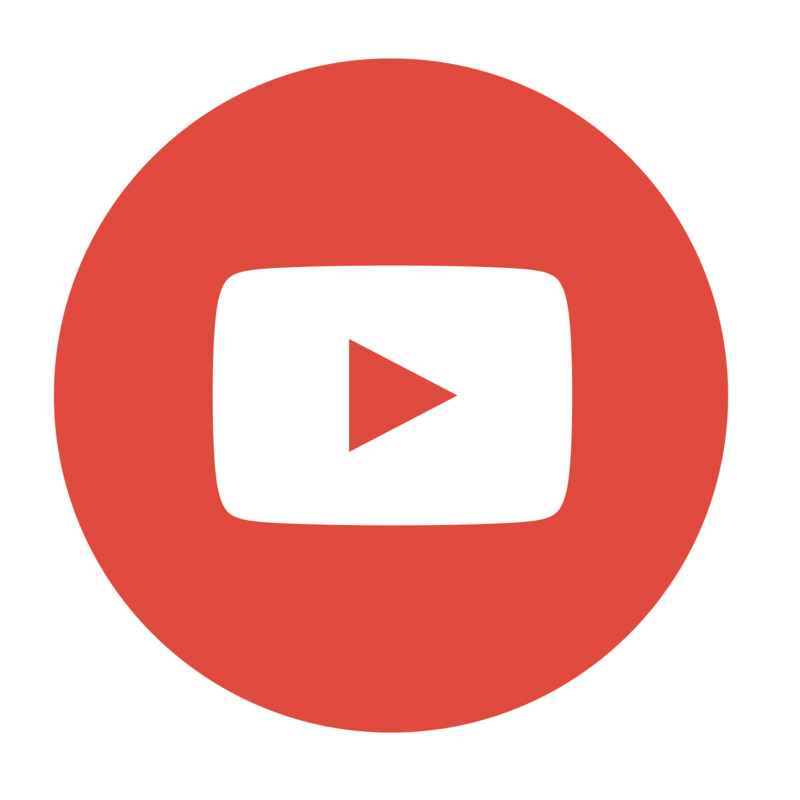 Why is January National Blood Donor Month? 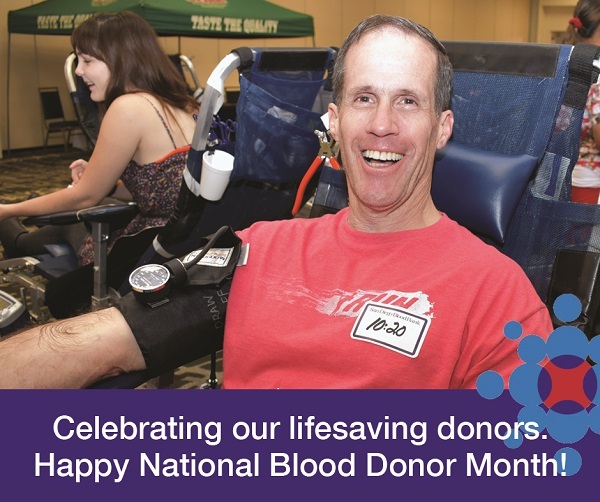 National Blood Donor Month has been observed in January since 1970. Its goal has always been to increase blood and platelet donations during winter, which is a challenging time of the year to collect enough blood products to meet the needs of patients. Blood banks across the country see a decrease in donations around this time for many reasons, including seasonal illnesses like the flu, which may cause some donors to become temporarily unable to donate. 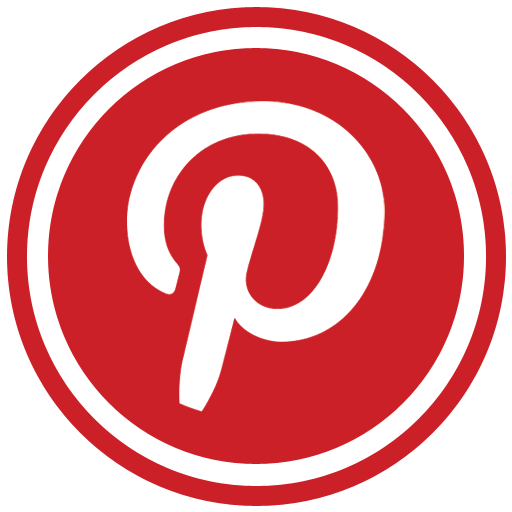 Want to share your #WhyIDonate story on our social media channels and blog? Post a photo and comment on your Facebook, Twitter or Instagram with #WhyIDonate for a chance to be featured.